1:29 - Is there consensus on a 400 GbE standard? 2:13 - How is 100 GbE being accepted in the market? 2:50 - Is 10GBase-T finally taking off? What about 40GBase-T? 3:46 - What's next for Power over Ethernet? 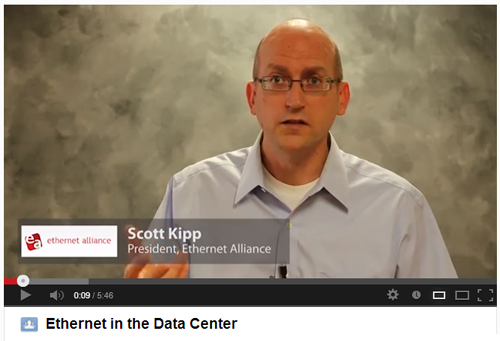 4:27 - What's next for the Ethernet Alliance? Intel disclosed key details on new data center processors based on its 22-nanometer (nm) technology and outlined key features of a rack scale architecture for mega data centers. The announcements, which were made at the annual Intel developer forum in Beijing this week, represent what the company is calling a re-imagining of the data center. Atom S12x9 product family for storage -- these offer up to 40 lanes of integrated PCIe 2.0, or physical paths between I/O and the processor and provide the capacity so that multiple devices can be handled more efficiently. Of the 40 lanes of PCIe 2.0, there are 24 Root Port lanes and 16 Non Transparent Bridge lanes, for failover support. 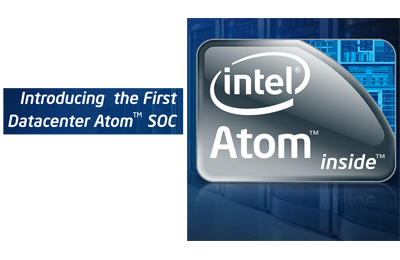 Avoton -- the second generation of 64-bit Intel Atom processor for microservers. Built on Intel’s 22nm process technology and new microarchitecture "Silvermont," Avoton will feature an integrated Ethernet controller and is expected to deliver significant improvements in performance-per-watt. Avoton is now being sampled to customers and the first systems are expected to be available in the second half of 2013. Rangeley -- this Intel Atom processor based SoC is targeted at network and communications infrastructure. Rangeley aims to provide an energy-efficient mechanism for processing communication workloads and is targeted for entry level to mid-range routers, switches and security appliances. Rangeley is targeted to be available in second half of 2013. For greater performance, Intel will introduce the Xeon processor E3 1200 v3 product family based on Haswell architecture, and the next-generation Xeon processor E5 family based on the 22nm manufacturing process, and the Xeon processor E7 family featuring triple the memory capacity – up to 12 Terabytes (TB) in an eight-socket node for data-demanding, transaction-intensive workloads such as in-memory databases and real-time business analytics. Intel is also working on a reference design for rack scale architecture for hyper-scale data centers. The reference design will be modular at the subsystem level (storage, CPU, memory, network) and is being designed to provision and refresh or logically allocate resources based on application specific workload requirements. Intel plans to leverage Silicon Photonics technology to enable complete disaggregation of racks to drive optimal flexibility for large scale data centers. Physical Aggregation. All non-critical sheet metal removed and key components such as power supplies and fans taken out of individual servers and consolidated at the rack level. Savings are expected due to higher levels of efficiency and lower costs by reducing the number of fans and power supplies. Photonics interconnects will enable higher speed connections between various computing resources within the rack, thus enabling the eventual disaggregation of server, memory, network and storage within the rack. 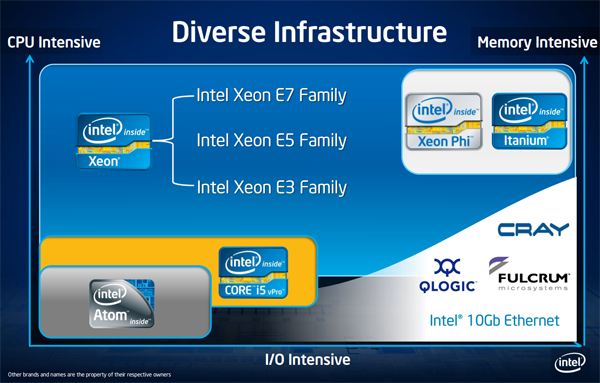 Ultimately, Intel sees the industry moving to subsystem disaggregation, where processing, memory and I/O will be completely separated into modular subsystems. At the event, the company also discussed progress with the new Intel Atom processor Z2580 ("Clover Trail+") for smartphones and the Intel Atom Processor Z2760 ("Clover Trail") for tablets, both of which are helping to usher in a range of new devices and user experiences. Intel's quad-core Atom SoC ("Bay Trail") will be the most powerful Atom processor to-date, doubling the computing performance of Intel's current-generation tablet offering1. Scheduled for holiday 2013 tablets, "Bay Trail" will help enable new experiences and designs as thin as 8mm that have all-day battery life and weeks of standby. Another Atom SoC, codenamed "Merrifield," which is scheduled to ship to customers by the end of this year, targets smartphones. DE-CIX, which operates the world's largest Internet Exchange in Frankfurt am Main (Germany), introduced its newest interconnection platform, DE-CIX Apollon. The switching layer is powered by Alcatel-Lucent's Core Router 7950 XRS, which supports the world-leading port density of up to 80 100 Gigabit Ethernet ports per chassis. 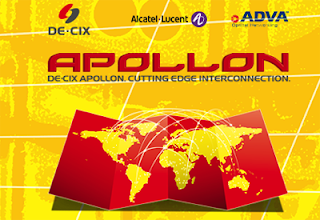 The core of the DE-CIX Apollon network is based on four supernodes that are built from the Alcatel-Lucent 7950 XRS and which are fed by customer-facing switches, both located at secure locations spread throughout the Frankfurt metro. DE-CIX operates carrier-neutral exchanges for carriers, Internet service providers, content delivery networks and cloud computing providers in Frankfurt, Germany and Dubai, United Arab Emirates. DE-CIX in Frankfurt currently serves and connects over 500 networks from more than 50 countries. "DE-CIX Apollon's interconnection capabilities represent the largest interconnection architecture in the market, enabling clients to not only peer but establish immediate dedicated-capacity connections with other global service providers," states Harald A. Summa, CEO for DE-CIX. "Partnering with industry leaders such as ADVA Optical Networking and Alcatel-Lucent further ensures DE-CIX continues to deliver best-in-class interconnection. With the launch of DE-CIX Apollon, we've set the foundation to support the demand for Layer 2 interconnection services and the creation of an even broader marketplace at DE-CIX." Verizon and NEC reported a new record for optical transmission: the companies were able to transmit 40.5 terabits per second (Tbps) for a long-haul distance of more than 1,800 kilometers (1,118 miles) and 54.2 Tbps over a regional distance of more than 630 kilometers (391 miles), using Verizon’s fiber loop outside Dallas. The DWDM system used both the C-band and the L-band. The results of the latest trial, performed in late 2012, were accepted and presented as a post-deadline paper at the OFC/NFOEC Conference and Expo last month in Anaheim, California. Integra, which owns and operates a 5,000-mile long-haul fiber-optic network, 3,000–miles of metropolitan fiber and a nationwide IP/MPLS network,has selected Ciena's converged packet-optical and packet networking solutions to support the expansion of Integra’s long-haul fiber optic network. Specifically, Integra will adopt Ciena’s 6500 packet optical series for long-haul and metro network integration, supporting its move to 100G. Integra will also rely on the Ciena OneControl Unified Management system for centralized network management and seamless service deployment. Integra’s selection of Ciena follows a year of business transformation, product and network expansion for the company. 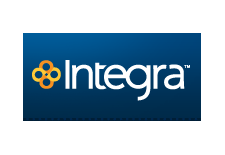 In February, Integra unveiled a new brand identity, including a new logo, corporate tagline and targeted messaging reflecting how the company serves its markets today. Belgacom, the incumbent operator in Belgium, has deployed Juniper Networks' T Series Core Routers to embrace the rapid adoption of new 'cloud' applications, the explosion in online video traffic, the introduction of IPv6 and the widespread use of smart-phones and tablets and prepare the core of its network for the next decade. The installation uses T4000 core routers. Financial terms were not disclosed. 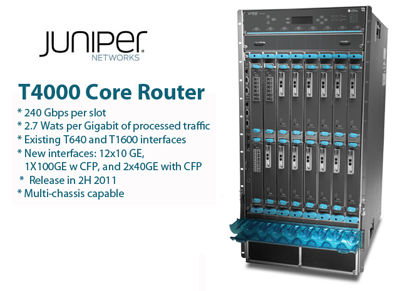 "With the introduction of the Juniper Networks T4000 Series in the Belgacom peering infrastructure, we aim at the realization of a highly available, fully redundant infrastructure. The realized architecture consists of two fully geo-redundant peering infrastructures being able to carry the total traffic generated by Belgacom customers," stated Johan Luystermans, vice president, network engineering and member of management committee, Belgacom. Under the terms of the renewed framework, Nokia Siemens Networks will provide DragonWave with an immediate cash payment of €10.6M and Nokia Siemens Networks will take on additional commitments and costs. The companies agreed to terminate the the Italian R&D component of the deal, thereby reducing DragonWave's operating costs by approximately €3M per quarter. DragonWave expects to pay a termination fee totaling approximately €7M over the balance of fiscal year 2014. DragonWave will continue to be the preferred, strategic supplier to Nokia Siemens Networks of packet microwave and related products, and the companies will jointly coordinate technology development activities. DragonWave has rebranded the products acquired from Nokia Siemens Networks as "Harmony" products and will continue the support and development of these products, which will also be sold via Nokia Siemens Networks. In addition to the new arrangements with Nokia Siemens Networks, DragonWave confirmed that as part of ongoing cost reductions it has also recently reduced its senior management positions by 33%. "The new arrangements being announced today are intended to streamline our operations and customer outreach strategy to better serve Nokia Siemens Networks and its customers. We look forward to continuing to pursue market opportunities together with Nokia Siemens Networks," said DragonWave President and CEO Peter Allen. In November 2011, DragonWave announced a deal to acquire Nokia Siemens Networks' microwave transport business, including its associated operational support systems (OSS) and related support functions, in a transaction that at the time was valued at up to EUR 110 million. ADTRAN reported Q1 2013 sales of $143,013,000, up 8% compared to $134,735,000 for the first quarter of 2012. Net income was $7,890,000 for the quarter compared to $12,960,000 for the first quarter of 2012.